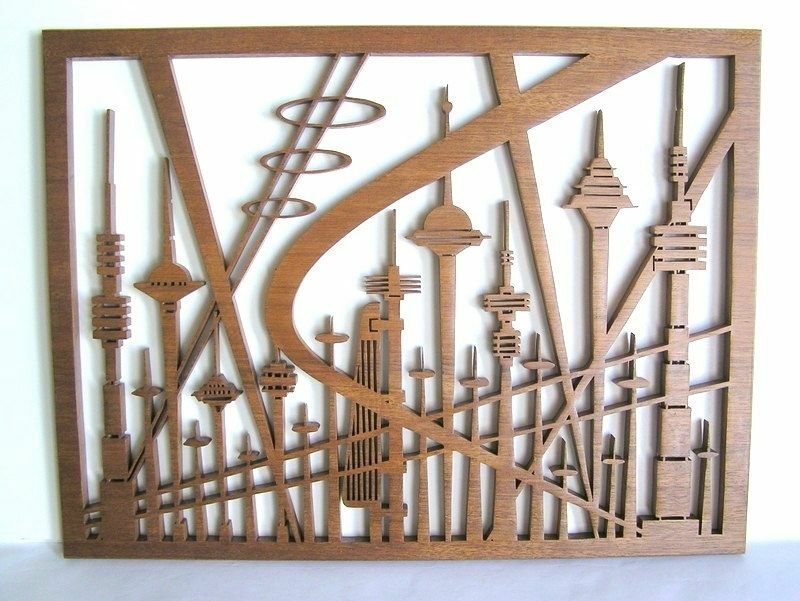 Mahogany Fretwork "Future City 1"
This futuristic city fretwork is made of mahogany hardwood. 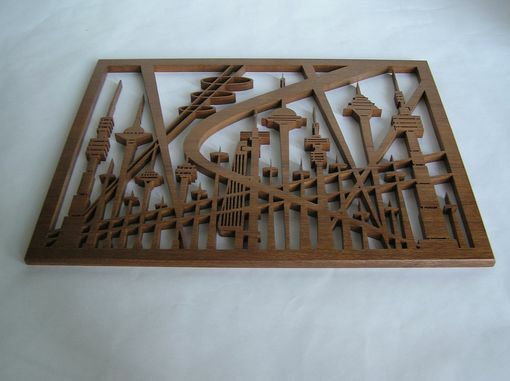 The piece measures 15''x20'' and is 1/2'' thick. 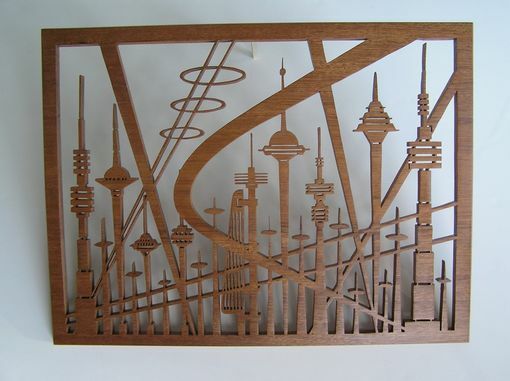 Brackets are attached on the back for easy mounting on your wall. The wood is sealed with coating for lasting protection.